Character actors are the unsung heroes of the movie industry. They don’t necessarily bring glam to the screen, instead they focus on bringing to life distinctive individuals as the production unfolds. Sometimes, they don’t get as much attention as they truly deserve, so ExploreTalent is putting up a list of the best character actors in the business. Find out if your favorite actor made it to the list below. Buscemi began his career acting in small parts in films in the eighties to the early nighties. He finally rose to mainstream prominence after starring in Reservoir Dogs and Pulp Fiction. Buscemi’s interesting look really molded his career and got him places. He has been in many of the Coen Brothers films, and his most iconic roles to date had to be in the widely successful HBO television series Boardwalk Empire. Paul Giamatti actually completed a master’s degree in drama at Yale University, so his seasoned acting experience is something that is difficult to top. But it wasn’t always this way for this versatile actor, as he struggled to find work early in his career before getting his breakthrough role in the 2005 Alexander Payne movie Sideways. Giamatti has a lot of films under his name, and although a leading role is still something in the works for him, you can expect his filmography to grow even bigger. If there is one thing that all character actors have in common, it’s the fact that the road to mainstream attention isn’t always that easy. 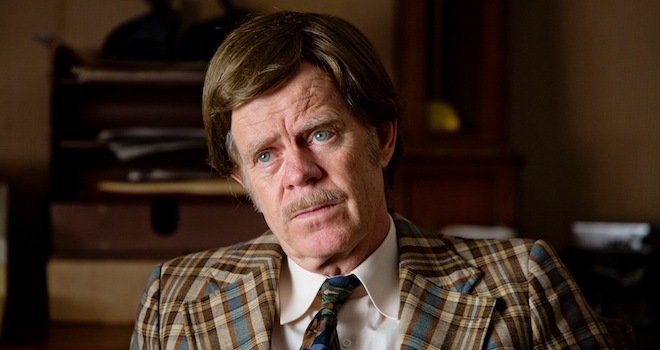 William H. Macy actually raked in a number of small parts in both theater, film, and television before getting to where he is today. He finally got his big break, alongside Steve Buscemi, in the Coen Brothers’ series Fargo. Ever since, he continues to appear both in film and television but is still far from the leading man status that everyone is rooting for him to reach. Oldman has one of the most colorful careers in Hollywood, but the English actor has never won an Oscar. Nonetheless, he continues to be a celebrated character actor and has gone on to do many iconic roles. Oldman has done everything from playing Count Dracula to a wizard in the Harry Potter franchise. His versatility makes his on a par with the other character actors featured on this list. Fichtner may not be much of a household name like the other character actors on the list, but he has been appearing in a lot of movies over the years. Audiences may recognize his face in the films The Longest Yard, Armageddon, and Black Hawk Down where he played less-than-likable characters. But it is his natural talent in bringing to life these villains that makes him one of the best actors of the new generation.